Just Dial, one of the most popular local Indian search engine has announced addition of “online food delivery” to the list of services spread across 15 Indian cities. The newly launched service by Just Dial will allow visitors go through the restaurant menus and then directly order food through the website instead of calling the restaurant. Given Just Dial’s popularity, online food delivery looks like a logical extension of their services. In terms of restaurant listing, in all probability, they already have all the popular restaurants listed with them as businesses. How JustDial Online Food Delivery Works? Visitors who are interested in ordering food from Just Dial have to first visit the main listing page of the restaurant. Upon clicking the menu they will be presented with the prices of all the items on the menu card, along with the “add” button. They will have to then specify the time delivery area, date and time. The customer then receives the order summary in the form of an SMS/Email and the delivery is done at the customer’s desired location. The customer pays only for the food ordered upon delivery. Interestingly, the food delivery is completely free of cost, unlike other online food delivery services which charge a certain fixed amount per delivery. Though the food delivery is free, there is minimum order value that customer has to ensure – Rs. 500. In my opinion, this is quite steep, and may not appeal to everyone. Just Dial has not mentioned how and who will be delivering the food – Whether it will be their own delivery personnel or will it be done by the restaurant itself. Delivering food within stipulated time is probably the most important aspect for Just Dial to be successful. In all probability, Just Dial may not be delivering themselves and will be relying on restaurant itself. This may create problems if the execution of order is not done in stipulated time. Justdial Food Ordering Service is currently available in Mumbai, Delhi, Kolkata, Bangalore, Chennai, Ahmedabad, Navi Mumbai, Noida, Thane, Coimbatore, Faridabad, Gurgaon, Howrah, Hyderabad and Pune. How It Will Affect Other Online Food Delivery Providers? There is no doubt that other online food delivery services like Pune based Tastykhana are going to be affected by Justdial’s entry into online food delivery business. We spoke to Shachin Bhardwaj, CEO of TastyKhana to get his view on Justdial’s entry. Here is what he had to say! Competition is always good and entry by such a big player in the online food ordering space clearly validates the potential of the market in India. They will help educate the market and the market is huge for multiple players to flourish. JustDial as their name suggests, has been primarily associated with ‘dial to get information’ and now as the internet industry has matured we are seeing a clear channel switch towards the online space. Users now no longer want to just get information on online, but are also eager to close the entire transaction online without any calling anybody. This started with travel and then we have seen every other industry move toward online transaction. 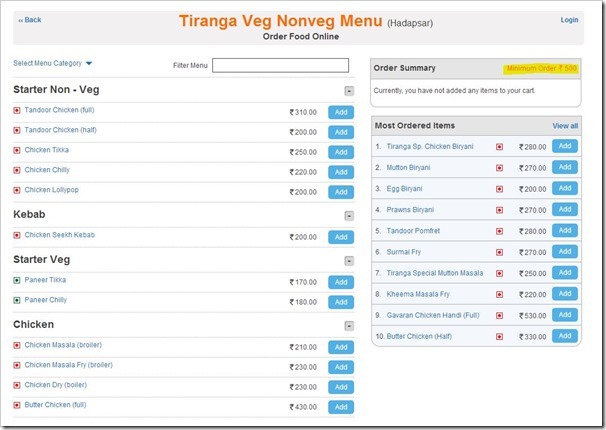 We at TastyKhana have clearly seen the channel switch happening in food ordering, with 90%+ orders for us now being placed online (web + mobile app). I clearly see that the future for all listing providers is to work towards closing the loop and letting the transaction happen online. Like we said earlier, Justdial’s entry into online food delivery is a logical extension of their services. Restaurant listings is one of the most important categories for them and accounts for over 27 percent of their calls. With food ordering increasingly moving towards online and mobile, these services are sure to gain traction. However, the success of Just Dial service will largely depend on how well they are able to manage and execute customer orders. Currently no details have been provided by them on logistics, but if they rely on restaurants to deliver food, they do not have any control over it. And that will be the key aspect in their success!